Today this article will be an informative article regarding one-page website design. I know many of us already know about this. But let me share out information for them especially who do not know about this variation of website design or not having a clear idea about it. Technology is growing fast day by day. Demands for one-page website design are also increasing randomly. So knowing the fact, I thought of discussing the importance, main advantages and disadvantages of one-page website design with you so that you can get a clear idea on this. 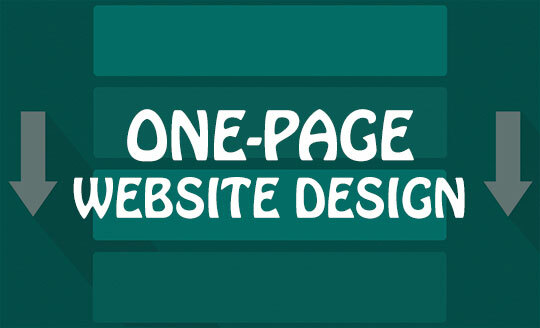 1) What is One Page Website? One page website is basically nothing but a single page website with no additional pages in it. The navigations of the page are also linked to some particular sections of that page. Whenever someone clicks to any of the navigating links, the page brings the users to that particular section either directly or by jumping with some visual effect. Or you can go there by scrolling the mouse of your own. Basically, you can say that if you love simple, easy, as well as a fashionable website then a one-page website is an ideal choice for you. For an example, say you are a freelancer. You can use this one-page website design to showcase your business cards to your customers. Similarly, say you are running any single focused business like event planning. The one-page website can suit your requirement very well. Not only this, you can also use the one-page website for showcasing your bio data or CV. Similarly, if you are selling a single product, a one-page website can be your ideal choice. The concept of story-telling can also be complemented by a one-page website. It can be very effective also to grab the attention of readers. In one sentence, if you want to express your whole bunch of words to the world in a simple and in less way, then the one-page website can be the best options for you. You may like: One Page Templates available for WordPress. There are various advantages of making a one-page website. Of course, if it used in a correct way and with correct purposes. I personally feel that a one-page website is very much straightforward and clear platforms for showcasing your single product or service to the mass of people. Customers get the chance to see all your details and all your objectives in one single page without diverting into any other pages. Scrolling down or jumping down directly to the sections, searching can be very much easier and comfortable in comparison to going for searching out with endless links and pages. Moreover, one-page website concepts are very much enjoyable for mobile lovers also. Scrolling is the easiest way to get content on mobile devices. All regular smartphone users love to scroll. And for them, browsing your one-page website, in the same way, is very much comfortable indeed. Moreover, the concepts of making and sharing out your views and specialty to the world in one page are really commendable, and obvious that people will definitely go to love it. According to research, a well-designed one-page website generates more conversion than a regular website with multiple pages. You just need to design it attractively and need to place the right content in the right place. You may like: Best One Page HTML Templates for You. Well along with the advantages, one-page website design has some disadvantages or rather you can say some limitations also. You cannot use a one-page website design where the multiple pages are absolutely necessary. For an example, a one-page website design cannot be used for a review website. A review website needs lots of pages along with links and sub-links. For the same purpose, it is also not recommended for blogs or eCommerce stores with more than one product. Moreover, the loading time of the single page website may take a little bit extra in compare to multiple page website. Because in one page all your contents like texts, images, videos as well as background scripts and styles need to be loaded to generate all the design and contents. This in return increases the loading time of the website in most of the cases. 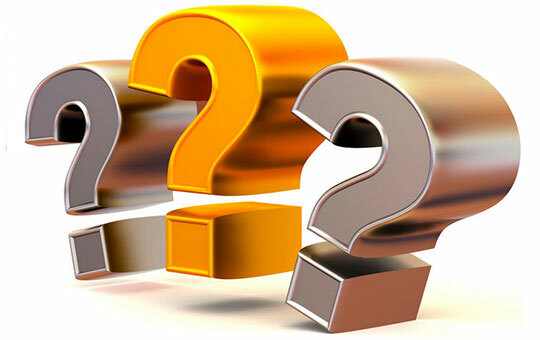 It is also being found that one-page website can create negative actions for SEO. One page means there are limitations in adding keywords as you cannot add lots of keywords in just one single page. You can actually rank only for one keyword for your website. But if you have multiple keywords to rank then a one-page website is not for you. In most of the cases it is found that if you want to share some particular sections with your friends or colleagues for any reasons, you will face some difficulties in the case of a single page website. So this is another loophole for these types of websites. You might need to specify the sections properly in your template design and you can use some jQuery modals or pop-over contents to specify and categorize your contents so sharing can be easier for you. But apart from these disadvantages, a number of advantages are huge and off course, you can make use of it in maximum cases. Only make sure, the one-page website design is solving your purpose or not. You may like: One Page Templates available for Joomla. This is a great story-telling one-page website design I ever visited. This is a story of two brave people who have shared their experiences which they have made while their journey of two different places, “Ice in Alaska” & “Into the Night in Iceland”. They are Julian Bialowas, a photographer, designer, as well as explorer and Renan Ozturk, a filmmaker, climber, and adventurer. In this one page website, they have narrated their stories. The designing, the video, and the picture quality and their story are really awesome and extremely inspiring. This is a one-page website designed by MailChimp. After the end of each year, MailChimp shares their annual reports to their customers by designing a one-page template. In this example, they have shared the annual reports of 2015. The presentation and the background are just mind blowing. They have arranged all their data and reports for their customers beautifully. It is really a design to learn how to present a report. This is a one-page website of a digital marketing agency who serves the traveling and hospitality industry. I really liked their whole designing sections, which really impressed me a lot. The background images they have used to represent themselves are really good. Their scrolling systems are so smooth and fast that just take a second to go to any sections along with a very eye-catching scrolling effect. It’s a great example of a one-page website to represent a single product or service. Hopefully, the above information and examples will help you know more about one-page website design and inspire you to create one for you own. If it is done in a right way then it can up the analytic graphs of your business. So without wasting much time just go and start making single page website for showcasing your service or product to the world by making it a little bit different from the rest. Look Out for These 6 Web Design Trends That Will Prevail In 2017!